Moody vs Edward just for laughs. . Wallpaper and background images in the হ্যারি পটার বনাম টুইলাইট club. 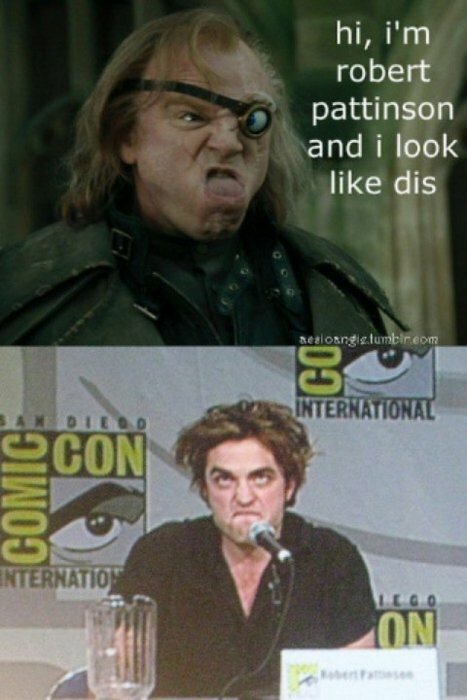 HAHAHAHA XD I just wanted to roll on the floor when I read this HAHAHA he does look like that HAHAHA XDDD.